Ever considered how much time you spend in your bed? You can expect to spend 23,360 hours of your life on your mattress over its lifetime (usually 7-10 years) so ensuring you select the right mattress is essential. The team at Snooze Helensvale have provided their top 5 tips for things to consider when buying a mattress and ensuring you get the right one for you! When it comes to mattresses, one size does not fit all. 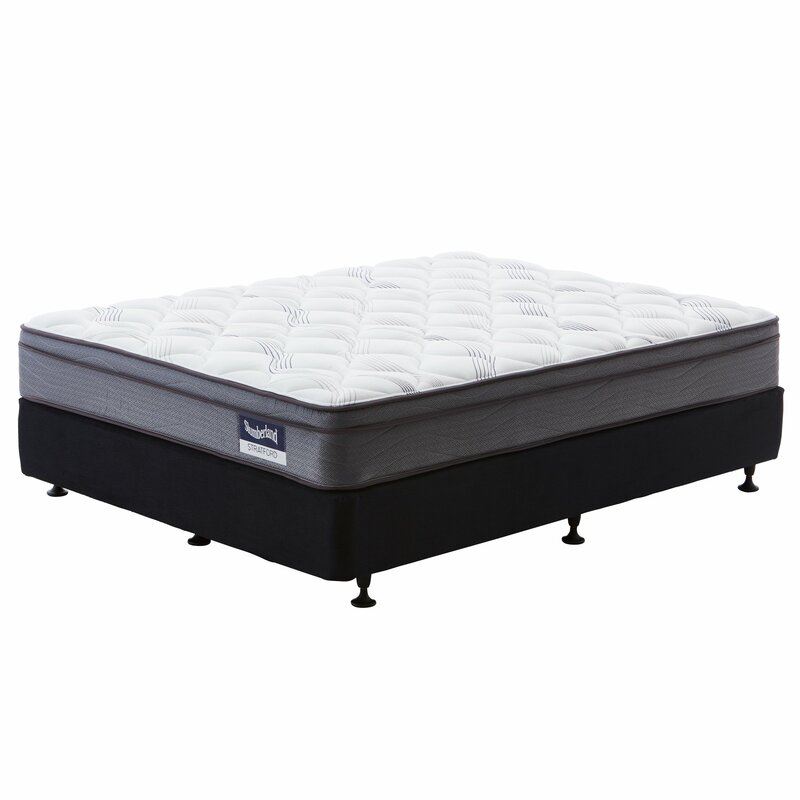 A mattress for instance will feel different for a a 130kg person as compared to a 55kg person. While there is a temptation to cut through the sometimes complicated array of mattress choices, consumers should be wary of oversimplifying the process. We each have different sleeping positions, varied weights and builds, different sleeping and health needs so the idea that one mattress can be designed to fit everyone just doesn’t make sense. To cut through the marketing hype and multitude of mattress claims and options, take a step back and first ask yourself, what do I need from this mattress and how will I use this mattress. Tip 2 – Think about what makes you different. Not only are we differentiated by our physical traits, we also have different preferences in the way we sleep that may influence the type of mattress, pillow profile or type of bedding we will prefer. The same way some of us lay sprawled, or curled up snug as a bug, some of us are side sleepers, stomach sleepers, back sleepers or a combination. Once you’ve determined which style of sleeper you are (generally done by noting what position you fall asleep and wake up in) and what level of comfort you prefer (from firm to plush) then you may be able to use this info in your search for the right mattress. It’s highly likely too, that your preferences will differ to those of your partner. Luckily, an offering like our SleepTailor® mattress range offers a thoughtful approach to how we sleep and how we share our beds. Unique spliced comfort layer technology allows each of you to choose a level of comfort from firm, medium and plush, so you can share a bed, even if you don’t share a preference for the way you sleep. Tip 3 – Have a budget in mind. Buying a mattress requires research and preparation. Go into the process having researched the types of mattresses you’re interested in, how much you want to spend, and having set yourself a budget. Without this, you may risk overspending. At the same time, don’t compromise and try to buy the best you can afford. You really want to like this mattress – you’ll be spending a lot of time together. Tip 4 – Take it personally. Selecting a mattress is a very personal and subjective experience. Only you will know what kind of mattress feels right for your body. If you’re curious about the difference in ‘feel’ between a mattress with inner springs, or a memory foam mattress, ensure you try both, and ask store staff to explain the differences. Your purchasing process will be much easier if you can describe to your sales representative as much detail about yourself as possible. What do I like best (and least) about my current mattress? Do I prefer my sleep surface to firm (like I’m not going anywhere) or do I prefer a pillowy soft (just like a cloud) sleep experience? Take your time in our showroom and try all the mattresses that interest you. Consider features such as memory foam, pocket springs or gel layers and ask our sales team to explain the variances between these options. Similarly, be sure to ask about caring for your mattress and the differences in fabrics and materials (particularly important for people with allergies). Tip 5 – Find your Snooze Profile. If this process still sounds daunting, the new Snooze Profiler® can help you easily choose a bed that’s right for you. Start your sleep profile by answering a few simple questions about how you live and how you sleep. Then try the test bed, a fun way to figure out the mattress feel that may suit you. 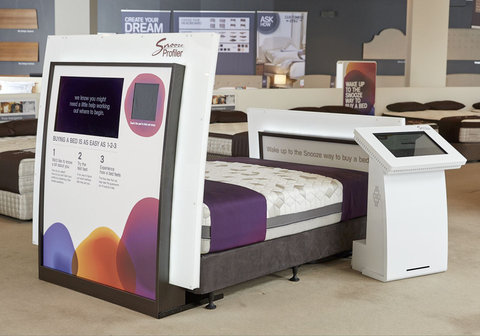 It only takes a few minutes and you won’t have to spend time testing every mattress in the store. It’s our way of helping take the guesswork (and hard work) out of buying a bed and ensuring you find your ‘comfortable’!